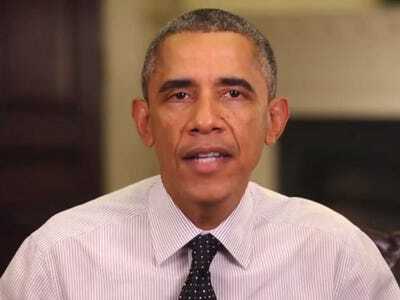 White House/YouTubePresident Barack Obama has defended net neutrality. This week, President Barack Obama came out in favour of net neutrality, the idea that all content on the internet should flow freely and equally without any intervention from service providers. Specifically, Obama wants to categorize the internet under something called Title II, which would classify the internet as a utility, just like telephone lines. This scares the pants off internet service providers (ISPs) like Comcast, Time Warner, Verizon, AT&T, etc. All of these companies have come out in favour of “the open internet,” but their definition of “open” is much different from what net neutrality purists want. The fear is that unless ISPs are categorized under Title II, there could be a chilling effect on innovation when someone wants to create the next major internet company like Netflix, YouTube, or, say, Business Insider. ISPs could slow down content from the new companies in favour of their own content. ISPs swear they don’t want to slow down rival content. And they are probably telling the truth. But under one proposal the FCC is considering, ISPs would, rather than slow down traffic, be able to make their web content get to you faster, giving them an advantage. So while ISPs and the FCC say all content on the internet will be equal, the reality is that some content will be more equal than the rest. Critics say Obama’s proposal will stifle innovation because it will keep service costs low and slow down companies’ ability to invest more in infrastructure. But the problem with that argument is that investment in building out broadband networks is already slowing, as Matthew Yglesias of Vox pointed out this spring. Telecom companies invested $US17.65 billion in broadband between 2005 and 2008. But that investment fell to $US12.24 billion between 2009 and 2013. Meanwhile, the cost of internet access continues to increase. Americans also get slower speeds for what they pay compared with other countries, according to the Open Technology Institute. It’s also worth noting that FCC chairman Tom Wheeler is a former telecom lobbyist, representing all the big ISPs. That makes it tough to trust that his proposals are in the interest of the public, not the ISPs. That’s why Obama is right. ISPs have done nothing to prove that internet access won’t get more expensive over time. They have also done nothing to guarantee they won’t start favouring their services over those of rivals. As the proposals stand, there is still wiggle room for ISPs favour some content over others. For almost a century, our law has recognised that companies who connect you to the world have special obligations not to exploit the monopoly they enjoy over access in and out of your home or business. That is why a phone call from a customer of one phone company can reliably reach a customer of a different one, and why you will not be penalised solely for calling someone who is using another provider. It is common sense that the same philosophy should guide any service that is based on the transmission of information — whether a phone call, or a packet of data. In other words, the internet has become as vital to commerce and communications as phone lines were decades ago. Giving companies that have demonstrated only that they want to profit off that communication without investing in improving it and making it more affordable is a dangerous path.